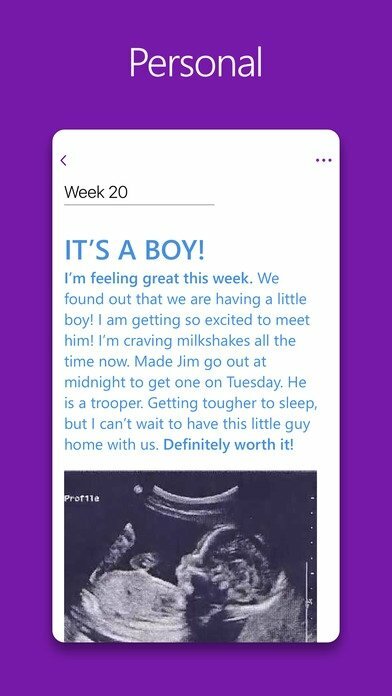 Among the best applications to create and take notes from a mobile device we have to mention Microsoft OneNote. The North American company's tool has brought to iPhone and iPad the functions of this software to improve the user's productivity in a significant manner. It's one of the best options that we can find, especially due how it integrates into the Office package and how it syncs with programs of the likes of Word, PowerPoint or OneDrive. Its features offer us the possibility to capture almost anything: ideas, images, thoughts... all in all, any element that can inspire the user to integrate it within his professional, academic or domestic workflow. It can help us out in many different daily situations. 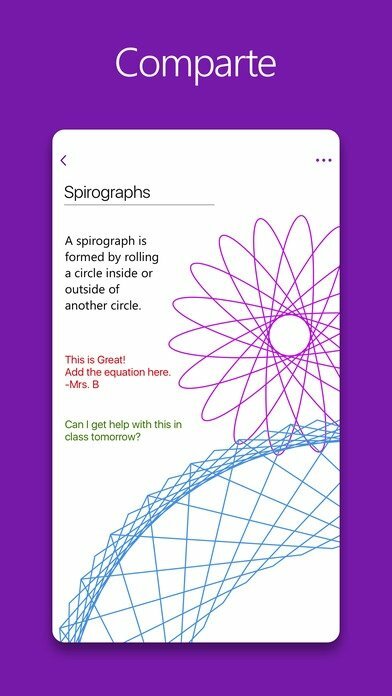 For instance, we can use it take notes and drawings during a lesson, notes at a meeting, create reminders, make task lists... furthermore, it's very flexible when it comes to generating documents as you can include images and videos to enrich the text created. Then you can easily share everything with other programs, making it easier to make the most of its functions. Capture everything and efficiently organize your pads, notes, and tags. Group correctly any of the notes generated. Access notes created on any device through OneDrive: Mac, PC, Windows Phone or Android. Establish checklists and don't leave any pending tasks. 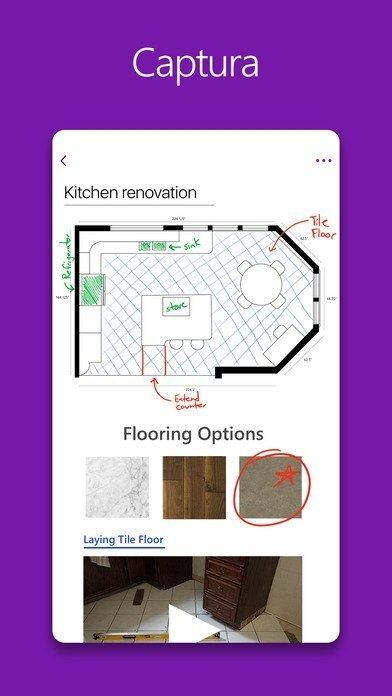 Introduce handwritten texts and drawings. 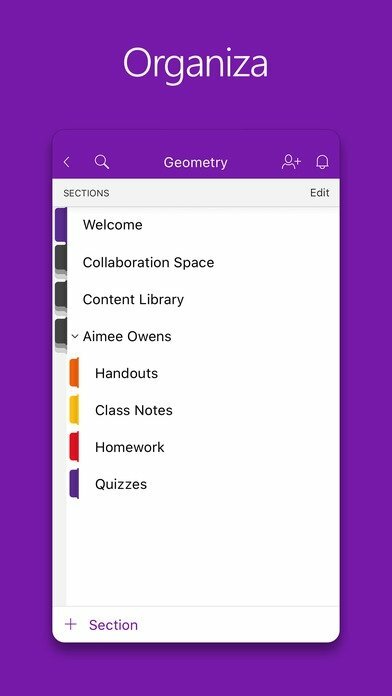 Capture images and videos and add them to your notes. Which one's better? 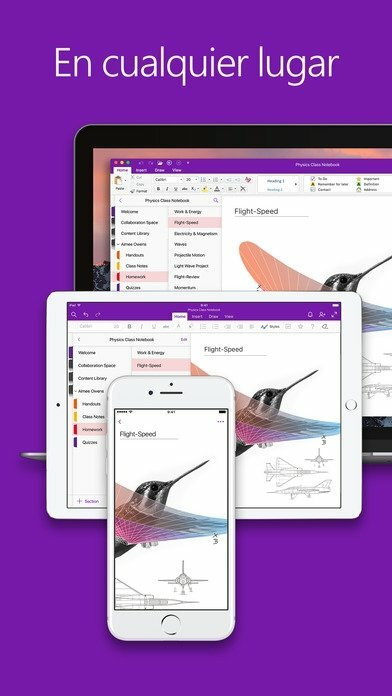 OneNote or Evernote? We're talking about two of the best applications to create notes and both stand out for their flexibility and capacity to synchronize with other applications. However, if you work frequently with Office, you'll probably be able to make the most of Microsoft's software, making use of all its power.